[ARCHIVED THREAD] - Where the Flip is JOE PESCI? He hasn't made a film since 1998! I love that guy's work. Casino, Goodfellas, even Easy Money with Rodney Dangerfield was great. Come back Joe, we love you! Didnt he go off on some woman in a parking lot a few years back. He's waiting for someone to write the SAME role for him to play in a new movie. I've heard/seen some tape of him getting interviewed, what an egocentric tool. 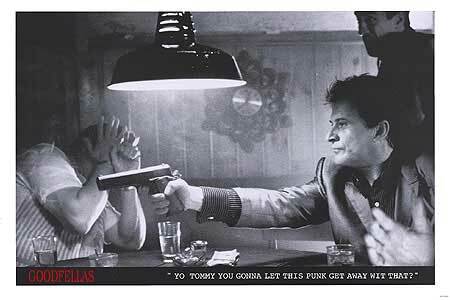 Don't get me wrong, he should have received an oscar for Goodfellas. <img src=/images/smilies/anim_devil.gif border=0 align=middle>Bill Tidler Jr.
My Cousin Vinny is hilarious. I love "My Cousin Vinney" (in fact, I watched it last night )and "Goodfellas." I tend to like Pesci's movies. Anyway, if you EVER get the opportunity to meet this man, JUMP ON IT! Just don't ask him to parrot some lines from an old movie. He's got WAY more talent than that!